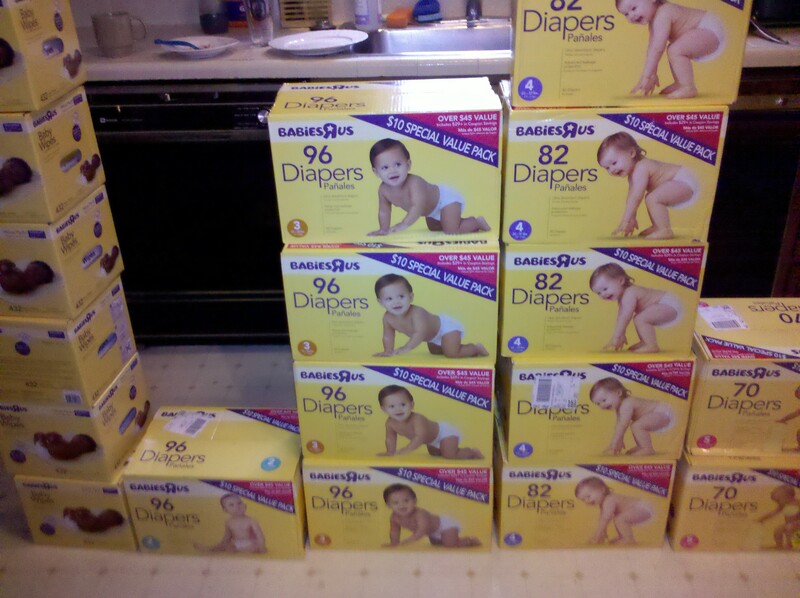 Babies R Us and Toys R Us Black Friday Diaper Deal! Hurry ends today! Can you tell that I’m going to have twins? Well run don’t walk to your nearest Babies R Us because today ONLY (as far as I can tell) are selling these speciality marked Babies R Us Brand diaper boxes for $10! That is between $.10 to $.16 a diaper which is right in my price range. What a great deal. The sale is a Black Friday deal 6AM – 1PM but my store said that it is all day and the manager said it is unlimited. Call your store or just stop in and check it out. The wipes are also on sale for 432 wipes for $5.